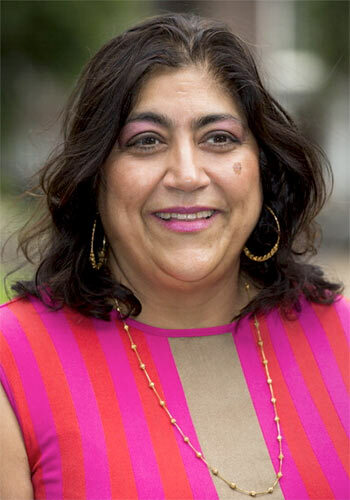 Gurinder Chadha is set to arrive in Jodhpur to begin shooting her new film The Viceroy's House, August 31 onwards. The director of Bend It Like Beckham brings with her an interesting cast: Hugh Bonneville as Lord Louis Mountbatten, Gillian Anderson as his wife Edwina, Huma Qureshi, Sara Jane Dias and Manish Dayal. Bonneville, who featured as Hugh Grant's friend who doesn't know who Julia Roberts is in Notting Hill, is now an international star after playing Lord Grantham in the British television drama Downton Abbey. Anderson, who became a star after the X-Files, played Johnny English's boss and was most recently seen as Hannibal Lecter's psychotherapist on the television series Hannibal. Manish Dayal, who played Om Puri's son in Lasse Hallstrom's comedy 100 Foot Journey, will unite with his screen dad on The Viceroy's House. Gurinder's movie -- scripted by her, her husband Paul Berges, and Moira Buffini and produced by Pathe, BBC Films and Reliance -- chronicles the last six months of the Mountbattens' stay in India and will likely stay away from the sticky subject of the Edwina-Jawaharalal Nehru romance.